Winter has well and truly set in now, and while we still haven’t felt the ‘Big Freeze’ that was predicted, I’m sure the hardy souls that have been running have noticed the dip in temperature. Luckily, by dressing appropriately you too can make sure your runs are still (somewhat) comfortable. Let’s be realistic. It’s Ireland. It’s Winter - at one stage or another you are going to go for a run and feel as though you’re partaking in one long Ice Bucket Challenge. And even if you do manage to avoid the torrential downpours that seem to happen as soon as you tie your shoelaces, the early morning/late night ‘nip’ in the air can make leaving the house as appealing as a stint in a cryotherapy/torture chamber. Layering up is key. Your body temperature increases very quickly as soon as you start running, so as a guide, dress for about 5 degrees warmer than you are starting off. Base layers from a wicking material are essential, NOT COTTON! Cotton absorbs sweat, which means the item will get wet, heavy, and very cold, very quickly. Seamless items will also help prevent that awful shock you get from hopping into the shower and realising that you've been chaffed. Running tights should be a snug fit to prevent rubbing on the back of the knees, and a drawstring on the waistband is an essential feature. The battle to get people (i.e. men) into tights is one we face daily, but one run in a good pair and most are instant converts. Tights will keep the quads and hamstrings much warmer than running in shorts, and toasty muscles have a reduced chance of strain. In regards to underwear choice, unless you are 100% confident that you will not chafe, go without. Shorts can be worn over for those who are more self-conscious but are not essential. No one is looking. Depending on the conditions, a mid-layer on top will ensure your core stays warm. Ideally look for something with a zip so that you can regulate accordingly. This is particularly important if you are doing a hilly or interval session where your body temperature will be fluctuating. Windproof and reflective jackets are essential at this time of year. 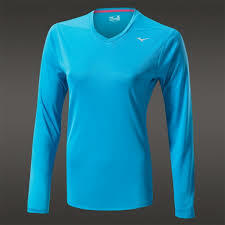 Most of the running jackets on the market would be described as windproof and water-resistant. Breath-ability is an essential, and jackets with insufficient venting or those from a non-breathable material will be akin running in a black plastic bag and regardless of the weather you will end up like a drowned rat, baking in a sauna suit. Not enjoyable. No matter what time of day you train, or where you run, outerwear should be high-vis and reflective. Rain on windscreens, or low lying winter sun (should we be that lucky!) can make driving conditions and visibility more difficult, so make sure that you are well lit up. Most jackets have a reflective finishing and if you need one then this comes highly recommended: Puma Nightcat Jacket. It's hugely effective when lights are shone on it. The more you can resemble a Christmas tree the better! Your extremities will feel the cold the worst, so it's always recommended to wear a hat/head band and gloves when leaving the house, which can then be discarded into pockets/waistbands if necessary. Waterproof trainers are great but just remember if you run into a deep puddle there's nowhere for the water to go. Depending on where your normal route is consider your footwear carefully. Additionally due to the cold and the wet it's important to consider run specific socks. As previously mentioned, cotton is the worst material to wear next to the skin. Socks should also be dry-fit and wicking, and extra padding on the balls of the feet will give a bit more insulation and prevent icy toes. It can be difficult to know what you need and where to source the right equipment so if you are in that position then we highly recommend using Amphibian King to source your gear. They've a great online store and also some great helpful staff in their stores. So now you know the gear you need to have to help you brave the cold, wet, ice, snow, wind and rain, what's next on the list? Anyone that runs or exercises regularly has a 'go to' meal they consume before they begin exercise. The key to remember here is that everyone is different. What you want to achieve from your session should influence your meal. If you want to just get out and exercise, want to lose weight or train for a race then your meal will be slightly different. Now you know some snacks not to consume before exercise let's look at foods that can help you get the most out of your exercise session. It's simple to prepare and quick to consume. To get a carbohydrate boost before you exercise then try eating an apple with 2 spoons of natural peanut butter. Have a bigger appetite? Why not try 2 hard-boiled eggs and a slice of whole-wheat toast? It's more likely to fill you up if your appetite is larger and certain to fuel your exercise. Try 1 medium banana, a tablespoon of peanut butter, and a cup of low-fat chocolate milk blended with ice for the boost needed to get in some great exercise. As we said everyone is different and we have found an incredible resource online that will have a least one pre-exercise meal that you will be your fuel of choice before you exercise. If you have a warm up routine then that is great. If you don’t, why not try developing one that can help you get the most from your workout and reduce risk of an injury during it. Before exercise, dynamic stretching is a great way to make sure you reduce the chance of injury and increase the opportunity to get the most from your session. Dynamic stretching uses controlled movements that improve flexibility, heart rate, body temperature and loosen up muscles. Basically what it's doing is getting your body ready for the for a workout. Take a step forward and place your foot into a lunge position bending down towards the floor whilst keeping your back straight (In time you can do this with a weight such as a medicine ball). Twist your upper body to the left while reaching across your left side with your arms out-stretched. Keep your movement slow and measured while making sure your movements are always under control. Then perform the same movement on your opposite side. Do 2 sets of ten and move on to the next warm up technique. Two more great exercises to practice are High Kicks and Jump Lunges. Both of these take a dynamic approach and can help you warm up correctly. Standing on one leg raise your other leg out in front, keeping the knee slightly bent. Repeat this 5 times on each leg. Build up the height you raise your leg over the 5 kicks. Make sure not to over do it on the first and injure yourself. A lot of people can be put off by the pain the body feels the day after exercise. Some people suffer pain and stiffness and it can last for a couple of days depending on age, type of exercise and level of general fitness. What a lot of these people don't know is that a proper cooling down routine can go a long way to removing a large amount of this pain & stiffness. David Egan from our Blackrock, IFSC and Barrow Street physio clinics gives some great advice on how to cool down correctly with the following exercises to help you feel less pain and decrease your opportunity to pick up an injury. With your shoulder and elbow at an angle of 90 degrees, place your forearm on a wall. Lean forward into the position demonstrated in the image on the left and hold for 30 seconds. Taking a position as demonstrated in the image on the right, slowly lean forward . The movement should come from the hips and not the shoulders. Lean forward until you find a position that returns a slight stretch in the groin muscles. Hold for 30 seconds and repeat 5 times. Stand facing the wall with hands placed shoulder width apart on the wall. Step one foot backward to a comfortable point. From here adjust your foots position until you feel a stretch in the calf muscle. Hold for 30 seconds and do three times per calf alternating in between. If you take 12 - 15 minutes to do these stretches it should go a long way to cutting down on pain and speeding up recovery time too. Ultimately you will find it easier to go back into your next session and reduce the chance of injury. The final part of your cooling down routine should be to consume something that will help your recovery more. So here are 5 simple post exercise snack suggestions that can help. If you run on the road or run on your own then there are some very simple things you can do to make sure your safety is taken care of. While some of these might seem very sensible things to do it's common that people don't do them. So check out our quick points and have a think about when you're out exercising and see if you can make yourself safer with little ease. Choose your route. Make sure there is room for you on the road. Don't expect traffic to notice you. Take responsibility for yourself, unplug earphones, stop where you should stop, wear reflective items & use a blinking LED light to make sure you're visible in bad weather. Watch out for concealed entrances & exits where traffic might be coming in or out of. Early & late drivers can be overtired and less aware of what is around them so taking extra care is no harm. Run towards traffic. It will be easier for you to react and see oncoming vehicles with more ease. With your back to traffic it's more difficult to react to traffic. Finally, anything can happen when you're out exercising, you could pick up an injury, pass out or have another health issue. Having a means of communication is important, bring a phone and carry some I.D. as a precautionary method. Sometimes it can be difficult to find the motivation to go out and exercise. But the next time you are running though your list of excuses rather than actually running, consider the real benefits exercise can have on you. Below are the 7 key points you should use to help motivate yourself. Just as a precaution if you have any underlying health issues always consult with your GP to make sure you are not over doing it or irritating a health issue. So there you have it. All the information you need to get exercising over the coming winter months. Build a routine and stick to it. Who knows, you just might start to enjoy it! Newer PostHow Often Should I Exercise?